Attention prospective pot purveyors: The BC Liquor Distribution Branch is hiring 34 employees for two provincial cannabis stores on Vancouver Island. 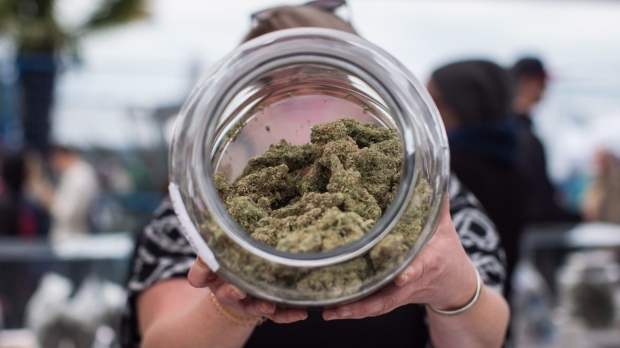 The stores are set to open later this year, but BC Cannabis Stores is hosting job fairs next week for new pot shops in Courtenay and Port Alberni. The first job fair will be in Courtenay on Monday, April 15 from noon to 7 p.m. at the Best Western Westerly Hotel. BC Cannabis Stores is looking to hire one store manager, two assistant managers, six full-time cannabis consultants and eight part-time/auxiliary cannabis consultants. The Port Alberni recruiting session is the next day, April 16, from 11 a.m. to 6:30 p.m. at the Best Western Plus Barclay Hotel. There the province is also looking to hire a store manager, two assistant managers, six full-time cannabis consultants and eight part-time/auxiliary cannabis consultants. The salary range for store managers is between $56,000 and $78,200. The salary for assistant managers is between $48,182.24 and $54,518.81. The salary for full-time cannabis consultants is between $38,841.23 and $44,918.47. Part-time consultants can expect to be paid $21.27 to $24.60 hourly and auxiliary staff can expect $18.69 to $20.71 per hour. Recruiters will be collecting resumes at the events but applicants must also submit their CVs through the government's online application portal. The Port Alberni store will be located at 303-3555 Johnston Rd., within the Pacific Rim Shopping Centre. The Courtenay store will be at 105-757 Ryan Rd., in the Washington Park Shopping Centre. BC Cannabis Stores will also open a Campbell River location at 130-1416 Island Hwy., though no date for an opening has been set. Two private cannabis stores in Victoria are also set to open. The Original Farm on Douglas Street has received provincial and municipal licences, as has the Cloud Nine Collective on Fort Street, which is expected to announce its opening date on Thursday.